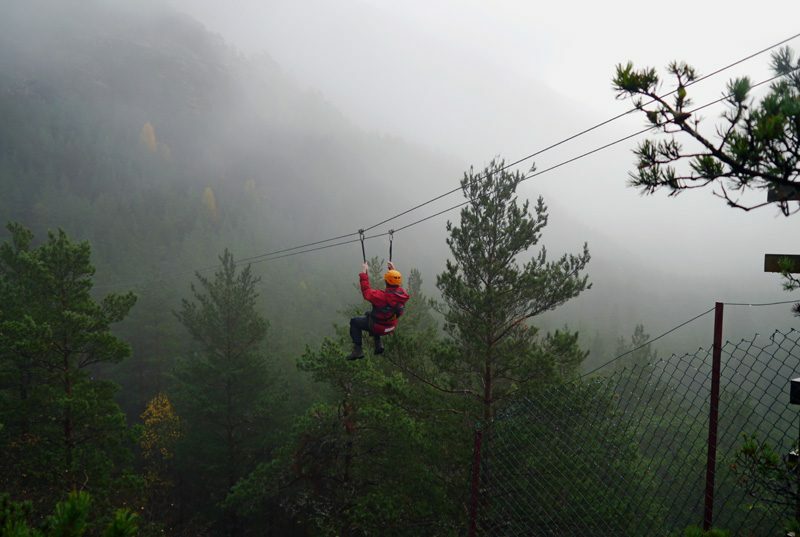 Visit Norway on your next school trip to experience nature, to build essential team building skills in your students and also for an adventure. We have an incredible range of activities to challenge and excite your students. Speak to our friendly travel specialists to find out our full range and see some of our favourites below. Take to the water for a close-up view of the world's third-largest fjord. Get ready for long, tiring but rewarding days as you squeeze as many of these fantastic activities into your trip as possible. 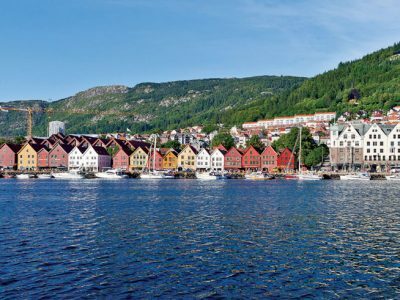 Our travel specialists will advise on a schedule and itinerary that works for you, see an example of a Norway itinerary here. Enjoy a half day in nature, as your guide leads you on the Husedalen Trail from the stunning Hardangerfjord into the forest and past four beautiful waterfalls. Take in the beauty of the crystal waters of Hardangerfjord up close with a guided canoe tour. 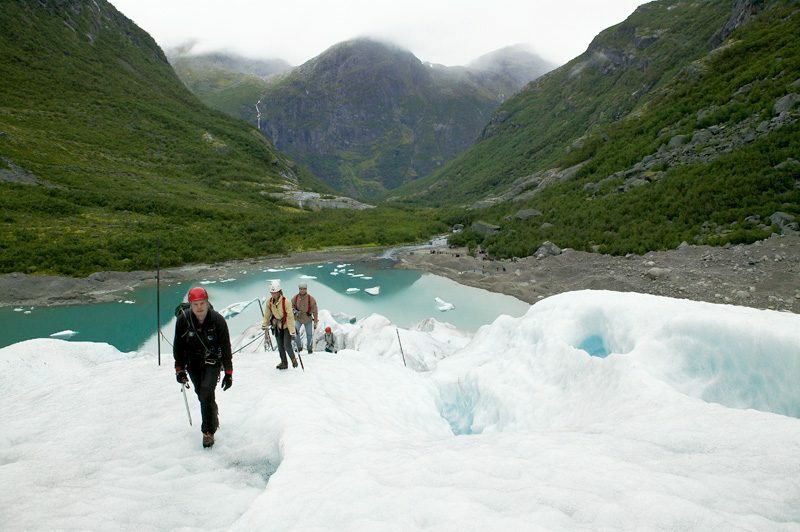 Your expert guides will show you the basics of canoe safety and control on the lake, before leading you on the fjord to see the local area and wildlife. Find out who is your school’s Robin Hood with an archery competition. Explore the local forests and countryside on an orienteering challenge. Learn to rock climb under the tutelage of expert instructors then descend via the 130m zip line. 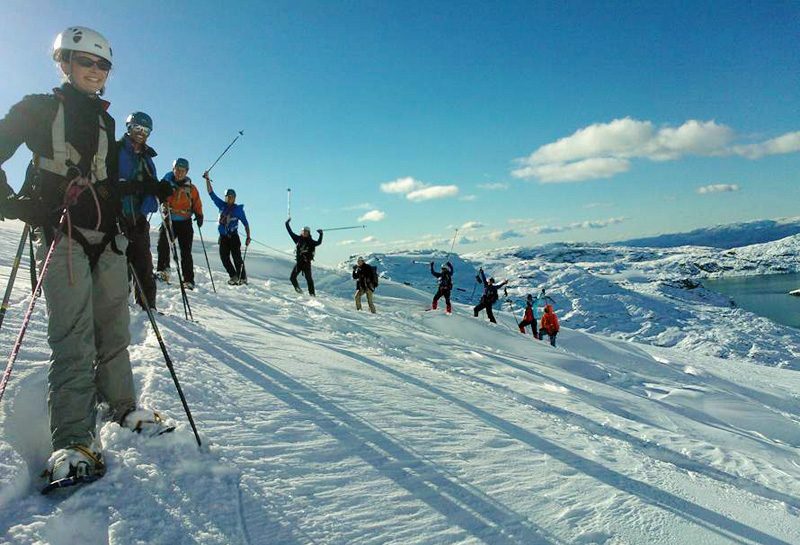 There are so many adventurous and team building activities to enjoy at Hardangertun. See the very best of this region in one jam-packed day. 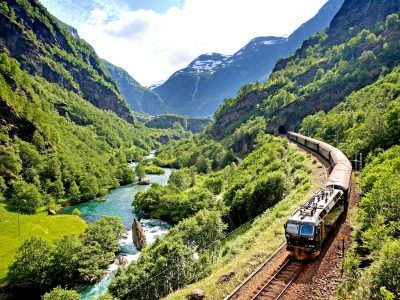 Explore the gorges of the Flam railway, voted one of Europe’s top scenic rail journeys by Lonely Planet, brave the steep hairpin bends of the Stalheimskleiva by bus and see breath-taking mountain scenery on a tranquil fjord cruise. Tour Sima Kraftwerk, one of Europe’s largest hydroelectric power stations. A short film shows how the plant was built, including the creation of mountain-top lakes and channels bored through the rock, as well as the importance of developing sustainable energy sources for the future. You’ll then explore the main turbine hall, located 700m inside the mountain. 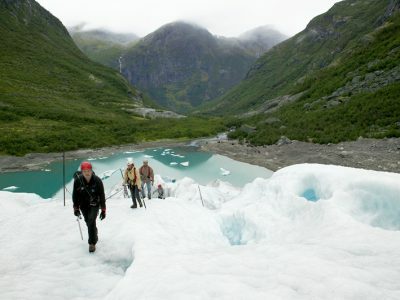 Enjoy a guided hike on Norway’s third largest glacier to experience the sheer size of this moving ice river. From the glacier you can see the Hargandervidda plateau, Hardangerfjord and the North Sea. Voringsfossen is Norway’s most famous waterfall, plunging 182m from the plateau. Stand on the viewing platform for fantastic views into the canyon below. Take a guided snowshoe walk on the hills around Folgefonna National Park, offering spectacular views of the snow-covered countryside. Bergen is a compact city easily explored on foot. Bryggen, consisting of the old Hanseatic wharf and buildings, is one of the best known urban settlements remaining from the Middle Ages and has a justified place on UNESCO’S World Heritage Site list. One of Norway’s most famous sights, and the most visited waterfall, this remarkable spectacle is at its most powerful in May and June when the snow melts. A path leads behind the waterfall as it plunges into the river below.